Designer/Philanthropist Tina Knowles-Lawson, media and cosmetics mogul Linda Johnson Rice, and In A Perfect World Foundation’s president Manuela Testolini, were honored at the Ladylike Foundation’s 9th Annual Women of Excellence Awards Luncheon, a star-studded gala held on Saturday, June 3rd at the Beverly Hilton Hotel in Beverly Hills, California. Holly Robinson-Peete served as the Luncheon’s emcee. 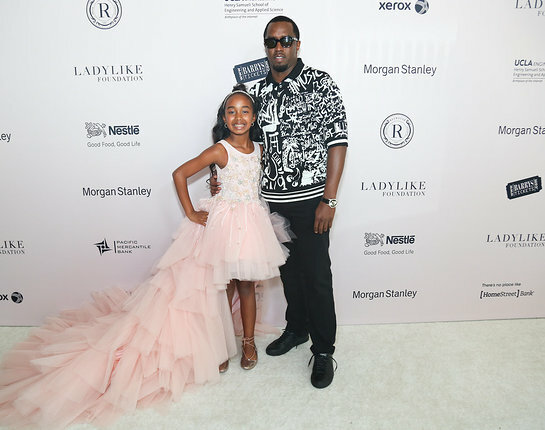 The event raised raise a half million dollars for the nonprofit organization whose mission is to educate, empower and inspire young girls living in underprivileged communities around the Greater Los Angeles area. Funds raised at the luncheon enable LadyLike Foundation to provide six scholarships to college bound young ladies from the inner city of Los Angeles. 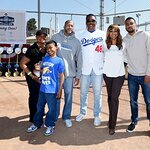 The star studded event was attended by celebrities from the music, sports and entertainment world, including Eddie Murphy, Nicole Murphy, Jamie Foxx, Sean 'Diddy' Combs, Sugar Ray Leonard, Jimmy Jam, Cookie Johnson and many more. Congresswoman Maxine Waters presented Linda Johnson Rice with her award, and TV host Shaun Robinson presented Manuela Testolini with her award. The event featured a special performance by sister duo Chloe x Halle who are signed to Beyonce’s Parkwood Entertainment, as well as a special fashion show featuring celebrity daughters including: CHANCE COMBS (Daughter of Sean ‘Diddy’ Combs and Sarah Chapman), ZOLA MURPHY (Daughter of Eddie Murphy and Nicole Murphy), GIGI JOHNSON (Granddaughter of Magic Johnson), ELISA JOHNSON (daughter of Magic Johnson), BELLA HARRIS (Daughter of Jimmy Jam Harris), CAMILLE LEONARD (Daughter of Sugar Ray and Bernadette Leonard), ASIA FUQUA (Daughter of Antoine and Lela Fuqua), KAPRI GARNETT (Daughter of Kevin Garnett), and JAZELLE PIERCE (Daughter of Paul Pierce). The LadyLike Foundation is a faith-based nonprofit organization founded by Leah Pump, and whose purpose is to educate, empower and inspire young women living in underprivileged communities. Through cutting edge resource programs, workshops, mentorships and life lessons, young ladies are challenged to reach their highest potential and become the successful, well-rounded “Lady” they were created to be. The organization’s Women of Excellence Luncheon is the primary fundraiser for LadyLike Foundation.